At Rock hard Excavating, serving Vernon to Peachland and beyond, we provide our excavating services to residential and business clients alike, and we are able to take on any job large or small. Ever since in our inception in 1999, we have been offering high quality, reliable excavating and Bobcat® services in the North and Central Okanagan Valley. 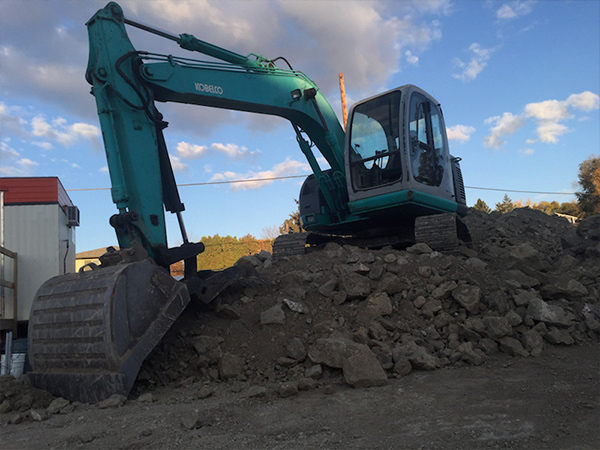 As excavating contractors in Kelowna, we provide a variety of services that includes excavating, backfilling, grading, demolition and much more. Our machine operators are experienced and we make sure we’ve got the right equipment at work for the job. We’ll work carefully with you to make sure your satisfied with the job. Contact us today to begin your next project.